What is the best mattress topper for lower back pain? Has your current mattress become so old that it is no longer able to provide consistent support for your lower back area? Well, finding the right mattress topper could be just what you need. While getting a dedicated back-pain free mattress won’t hurt if money is no object, a mattress topper often gets the job done for those suffering all sorts of back pain. While most toppers are 1-3 inches thick, don’t let them fool you. As long as you invest in the right model, your days of waking up to a stiff, pain-riddled back could be numbered. After several days of testing, our team has uncovered the top 5 mattress toppers for lower back pain available for sale at this moment. Each of them comes with unique selling points so feel free to explore them one by one and choose the right pick for your personal needs. 0.1.1 Memory Foam or Latex Foam? Whether you’ve purchased one in the past or this is your first time it is always important to put the definition of a mattress topper into perspective. They are simply “mini- mattresses’ which are placed on top of regular mattresses with the sole aim of improving the sleeper’s comfort. Here are the most important things to look for during the shopping process if you’re serious about ending up with the most suitable model for you or the needs of your loved ones. This debate doesn’t look like coming to a conclusion anytime soon. However, in our humble opinion, we believe memory foam is just a step ahead of latex mattress pads thanks to its natural ability to conform to the unique contours of each sleeper’s body shape. This essentially translates to world-class support for the body’s most troublesome regions including the back as well as joints such as the hips, neck, shoulders, and knees. Back pain is simply best combated with memory foam. If you’re a big fan of Latex, then it is vital to choose a topper manufactured from 100% latex material with absolutely no synthetic additions. Again it is important to remind ourselves that mattress toppers are just mini-mattresses. Most of the models available for sale today come with a thickness ranging from 1-3 inches. Keep in mind that the higher the level of thickness integrated into a particular model, the greater the amount of support it provides. Since lower back pain can be quite tricky to eliminate, we’ll recommend that you opt for a model that is at least 3 inches thick. Sure, some 1-inch and even 2-inch models can be awesome in terms of the quality of support it provides. However, those with the most debilitating degrees of back pain do better with 3-inch mattress toppers. Are you shopping for a soft or firm mattress topper? This is another important question you should be able to answer before you hit the order button on a particular model. The truth is extremely soft mattresses can be quite terrible for back pain sufferers due to their inability to provide enough support for the spinal region. However, this doesn’t mean you should order the firmest mattress available because they tend to feel like sleeping on a hard wood floor, which can worsen your back pain. If you’re tired of continuous pain from a bad back, it is important to choose a medium firm mattress topper. This is especially true for side sleepers who require a topper that allows their hips and shoulders to sink in comfortably for a peaceful sleep. Just like regular mattresses, toppers come in various sizes ranging from Twin to California King. Just choose a model that corresponds to the size of your mattress so it can fit snugly for you to sleep in style and comfort. Traditional memory foam mattresses and toppers are known for heat retention issues and a host of breathability problems. As such, it is always vital that you choose a model with specific technologies to improve airflow and enhance breathability. You wouldn’t want to wake up in the middle of every night feeling hot and uncomfortable, would you? 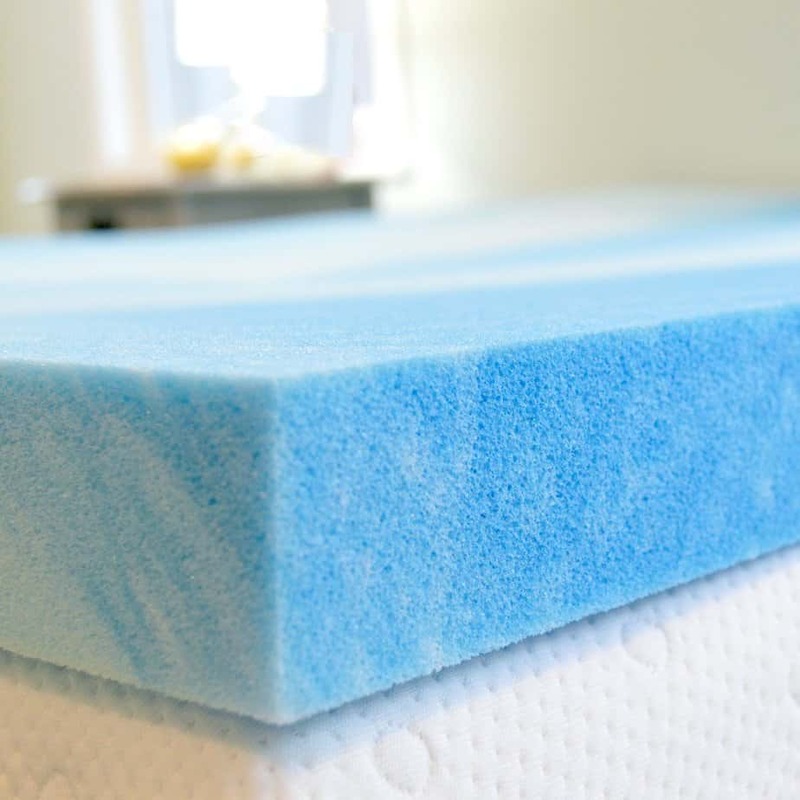 During summer and other hot times of the year, you can always add a cooling gel pad to your mattress topper to take breathability to the next level. Here are the best 5 toppers for back pain relief available in the marketplace at the moment. These models offer exceptional support for not just the back region but the most sensitive areas of the body as well. So just analyze what each of our top picks has to offer below and take your pick. The ExceptionalSheets Bamboo Mattress Pad is the number one rated mattress topper online today. If you’re looking for a perfect model to relieve your body from all forms of lower back pain and more, this is your lucky day. It is constructed with multiple features to revitalize your sleep and fits mattresses with depths of up to 18 inches. Featuring a plush rayon bamboo cover infused with the hypoallergenic RevoLoft Cluster Fiber, a pleasant, reinvigorating sleep night after night finally awaits you. The backing material is made from a blend of cotton and polyester while the skirt is also manufactured from cotton, nylon, and spandex. 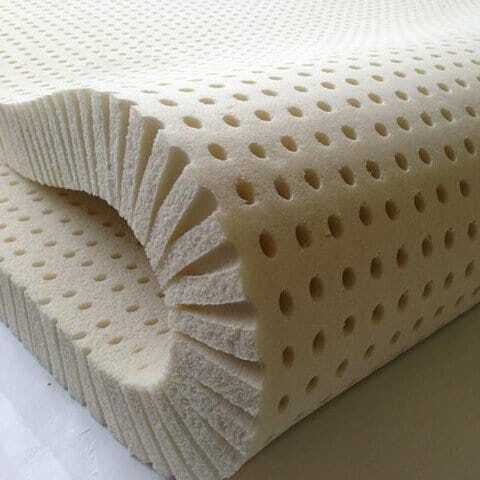 The bamboo fabric enables this mattress pad to breathe extremely well and can be a great solution for mattresses that sleep hot. If you’re currently stuck with an expensive memory foam mattress such as Tempur-Pedic that causes nightly sweats, getting this mattress topper can be a lifesaver. Each transaction comes with a 30-day 100% money back guarantee so you can buy with confidence. The ExceptionalSheets Bamboo Mattress Pad is an extremely well crafted mattress topper that gives you a feeling of sleeping on cloud. Why do you think it is the most beloved model online today? The fact that each topper is filled with RevoLoft, a world-class fiberfill that delivers the authentic feel of goose and duck down without the feathers means it delivers probably the most luxurious sleeping surface you’ll ever experience in a lifetime. It offers silent protection that positively impacts the quality of your sleep without disrupting it so you can relax all night after a tired day. The Sleep Innovations 4-inch Mattress topper is a dual-layer model that offers gentle and cradling support to alleviate all forms of pain from the body, especially around delicate areas such as the lower and upper back. Whether you’re a side, stomach, or back sleeper, this topper can do wonders for your sleep. From brand new to old, beat up mattresses sagging in multiple areas, it has what it takes to energize your sleep. Manufactured from 2 inches of cooling gel memory foam layered with 2 inches of fiberfill, deeper sleep is more or less guaranteed. As long as you get the right size, you are assured that it will fit snugly without any problems. The manufacturer is so confident this topper will hold up that you are granted a 10-year warranty that can be easily redeemed within the validity period if anything goes wrong. The Sleep Innovations Mattress Topper is just what you need if the idea of sleeping on a puffy cloud sounds like something you’d be interested in. It delivers gentle support and exceptional pressure relief in equal measure to make each night memorable. The fact that the topper’s cover can be readily removed and washed means you can continue enjoying a fresh sleeping surface for many years without worrying about stains, odors, and other forms of comfort caused by extensive usage. Unlike other models available for sale, all foams used in the manufacture of this topper are made right here in the United States. The LUCID 3-inch Ventilated is the mattress topper for you if your current mattress provides enough support but happens to be too soft or firm for your lower back region. It allows you to create the sleeping surface of your dreams without having to shell out on a complete replacement mattress. The use of modern sleeping materials in this memory foam topper translates to efficient pressure relief for even the most troublesome knees and joints in the body. It is specially recommended for all degrees of chronic lower back-pain sufferers. This 3-inch model is designed with quality components which are naturally resistant to dust mites and all sorts of allergens. Whether you suffer from severe allergies or other conditions which are easily triggered by these microorganisms, you can be rest assured of your peace of mind every night. 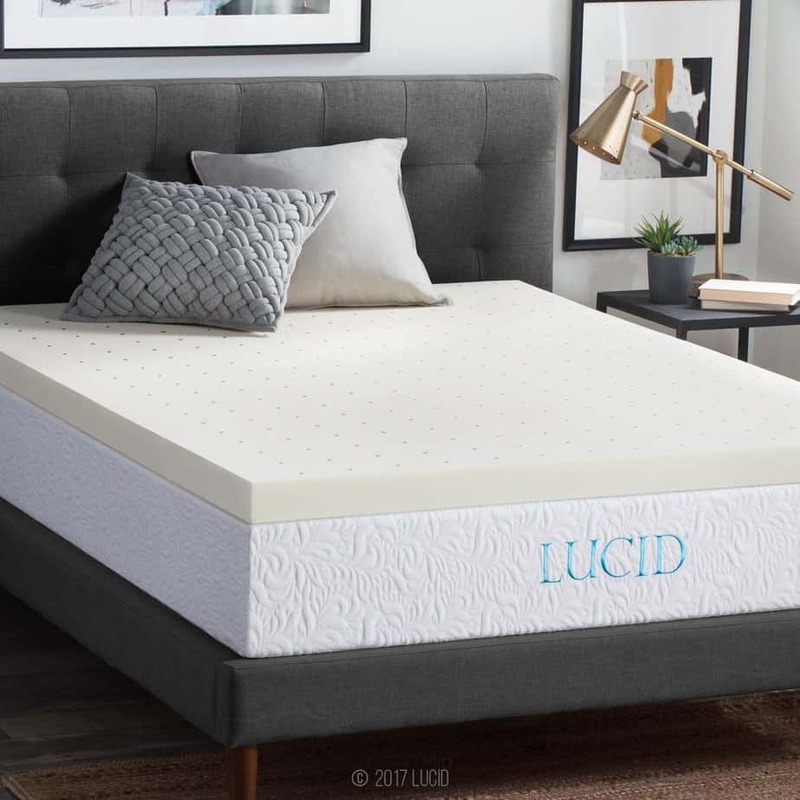 The LUCID 3-inch Ventilated Mattress Topper has everything it takes to make your nights joyful again, taking into account the manufacturer’s use of premium foams with evenly sized and spaced ventilation holes that force airflow through the surface. It is made from quality materials with the most stringent standards of care and this is why the manufacturer is confident enough to offer a 3-year warranty for each purchase. It is available directly from the manufacturer, ensuring that consumers get quality at an unbeatable price. The Pure Green Natural Latex is the number one option for you if you’re looking for a durable latex mattress topper for lower back pain. 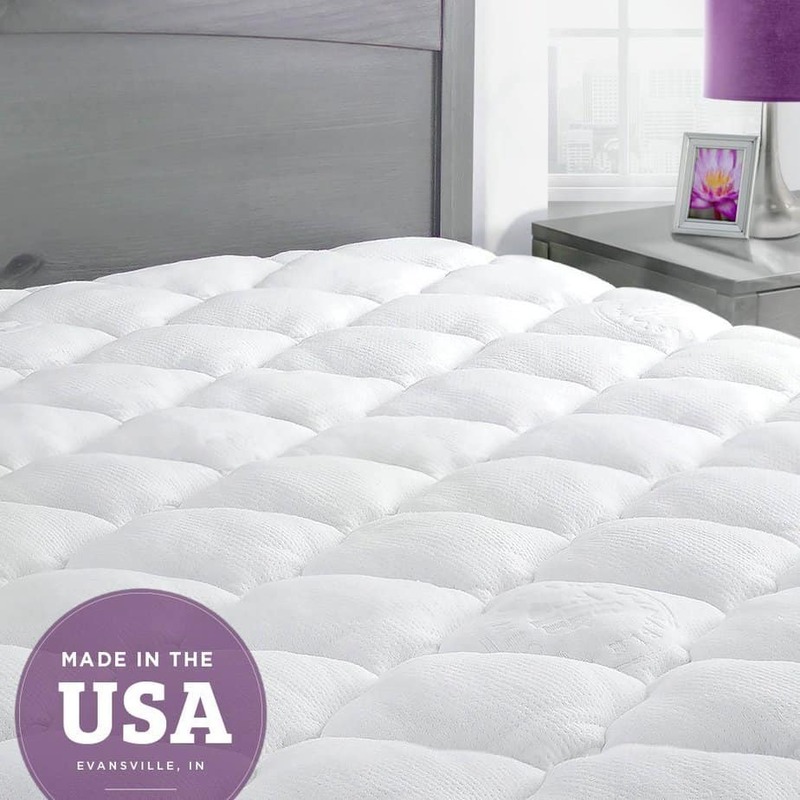 Made from 100% natural latex foam, this may be the best non-synthetic mattress topper the world has ever seen! The latex foams used are made from the most durable components available in today’s marketplace. In addition, they’re devoid of any filler or synthetic parts. Fortunately, all components have been extensively tested and certified to meet the most stringent VOCs in the world. This has resulted in a true quality product with enhanced aesthetic standards you will always be proud of. Everyone sleeps better instantly thanks to the pinpointed support delivered by the latex used. This ensures amazing results for all forms of body pains caused by medical conditions such as fibromyalgia, arthritis or even scoliosis. They are also truly hypoallergenic and antimicrobial which makes them safe for babies, kids, and adults prone to allergies and asthmatic attacks. This model is the first and only completely natural latex foam mattress topper that contains absolutely no form of fillers or synthetic components currently available today. It is manufactured via the superior Dunlop process which results in a latex topper spongy-like feeling instead of the bouncy models made from the Talalay mattress technology. Why else do you think this model ticks all the right boxes for durability? Unlike other manufacturers that think a one-size-fits-all model is what everyone needs, the Pure Green Latex is available in densities ranging from 1-3 inches for consumers to choose from. The Advanced Sleep Solutions Gel Memory Foam Topper allows you to add an extra layer of comfort to your existing mattress, to enhance the quality of your sleep. This 2-inch gel memory foam topper is very popular among consumers and there are so many reasons as to why. The comprehensive memory foam design aids in essential pressure relief for the most delicate points of the body. This ensures even redistribution of weight throughout the night so you wake up back-pain free. Those with notoriously restless sleeping partners including pets and kids are able to enjoy deeper sleeping all night long thanks to the minimized motion transfer technology integrated into this topper. Available at a density of 3.3lbs per square feet, it adds just the right amount of medium-range softness and support to your old mattress. All foams have been certified by CertiPUR-US meaning they are made without formaldehydes, ozone depleting agents, lead, mercury, flame retardants, and other potentially harmful chemicals. The Advanced Sleep Solutions Gel Memory Foam Topper transforms an old worn out mattress that causes you to toss and turn into a heaven-like sleeping surface thanks to its outstanding memory foam components. It is soft enough for your body to sink in, relieving not just back pain but hip and shoulder pain as well. It provides spinal alignment and revitalizes the body’s muscles to promote correct posture and enhance overall quality of life. Thanks to its open cell design that effectively dissipates unnecessary heat and improves air flow, this topper delivers perfect sleeping temperature unlike other models. If you’re looking for the best mattress topper to combat lower back pain, they don’t come better than the top 5 models picked here. Each of them is constructed with the right amount of support recommended by chiropractors for long-term back pain patients and the general population. Your only job is to decide which one best suits your needs and go for it.